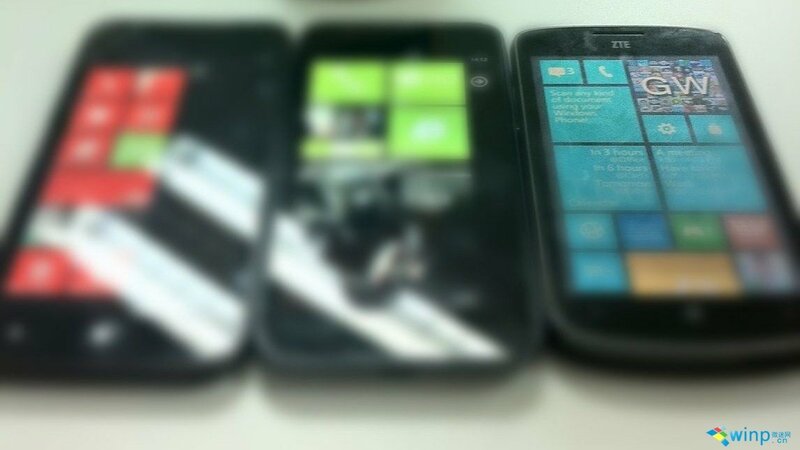 ZTE Windows Phone 8 devices spotted in the wild? We're not entirely convinced. Today marks the start of the 2012 China International Exhibition, and ZTE has arrived guns blazing with the company's mobile phone market strategy director Dennis Lui sharing a very interesting photo with the world. Analysing the capture above, we can see what appears to be one or two ZTE Windows Phone 8 handsets. The device on the right looks almost identical to the ZTE Tania, which runs Windows Phone 7.5. Unfortunately due to the blur effect added into the mix, it's near impossible to tell what's what within. As well as the similarities to a legacy handset, we can only spot a USB port in the centre on the device in the middle, which appears to be the standard for Windows Phone 8 hardware. If that wasn't enough, we could well be looking at Windows Phone 7.8 here on the Tania. As for the two devices to the left, we're not entirely sure but they almost look HTC - though we could be (and probably are) mistaken. Lui also attached "Two heads are better than one, MacroHard" to the photo, which further adds fuel to the fire on there being Windows Phone 8 and 7.8 goodness here. WinP.cn notes that the ZTE Tania looks to be running W Phone 8 to show that the device will be updated to Windows Phone 7.8. A better home screen with more colours. As for the other two, we'll have to wait and see, but the middle one definitely looks to sport the centred USB port, while lefty appears to only have Windows Phone 7.8 / 8 small tiles set up. Speaking of pretty colours, check out the apparent Android ZTE smartphones and Windows 8 tablet below, which were also shared by Lui. Is it just us or could we see these being released with Windows Phone slapped on top? Notice the USB port centralised on the bottom of the device? 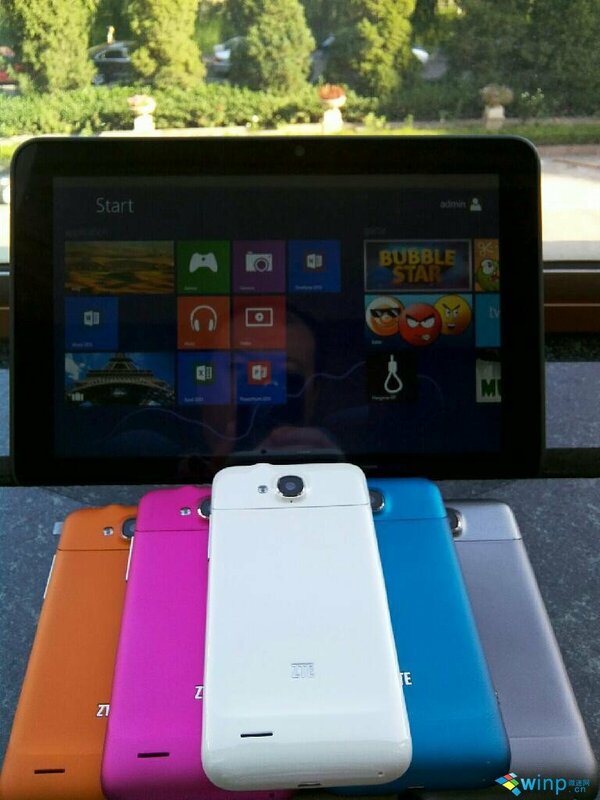 They're definitely eye-catching colours, and we'd love to see such variety in ZTE's Windows Phone line-up. Let us know your thoughts on both the mysterious ZTE Windows Phone 8 device(s), as well as what you'd think of the above collection of handsets running Windows Phone. via: WinP.cn; thanks, hengxiang32401, for the tip!